The idea that one can stay in a fort seems like a privilege as most of us are used to visiting such fort-palaces during the daytime and return. It satiates many curiosities as to what transpires within these forts when they have no visitor after dusk. And how it feels to live in a palace, to sleep and wake up amidst walls that are centuries-old with arched pillars and antique doors and windows. 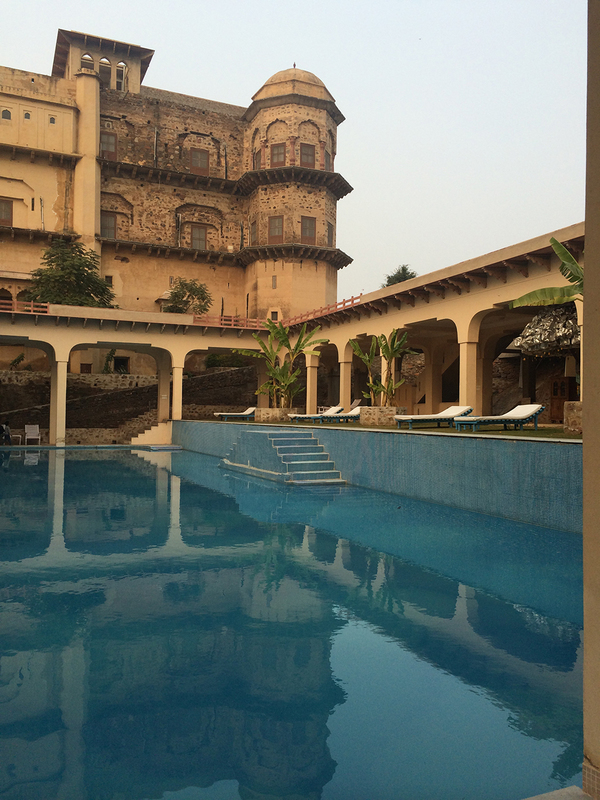 Spending a weekend at Tijara Fort-Palace in Rajasthan makes it possible to partake of that privilege. 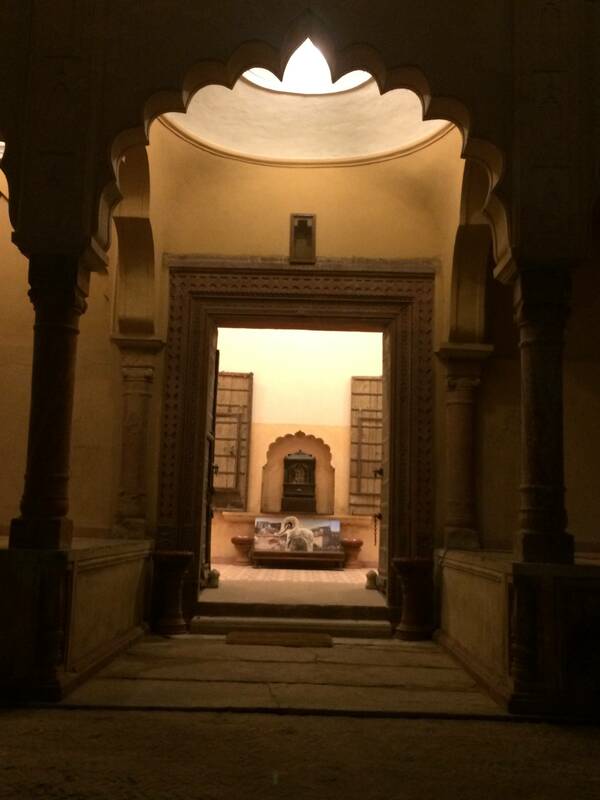 Neemrana Hotels is a very thoughtful and passionate initiative in the heritage hotel movement in India, pioneered by Aman Nath and Francis Wacziarg (he passed away in 2014). It all began while they were researching wall frescoes for a book and chanced upon the Neemrana fort on the Aravalli range in Rajasthan. 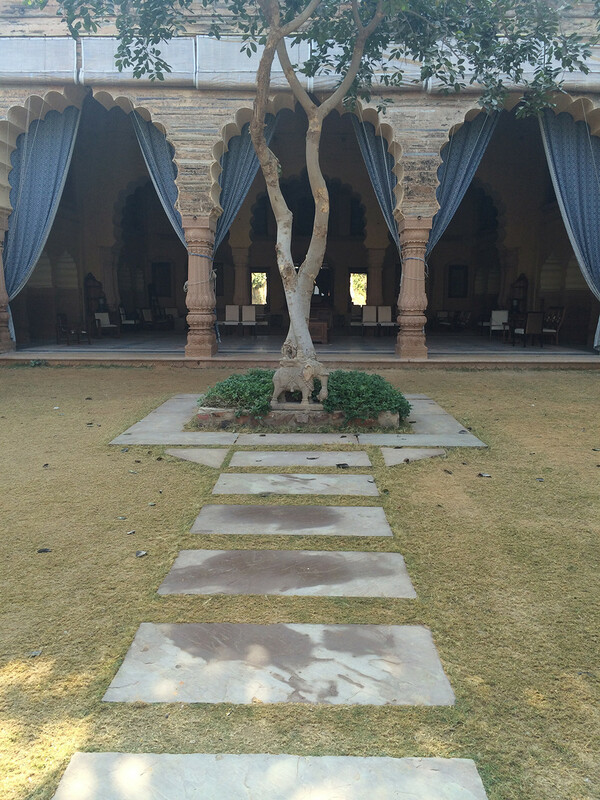 They bought the fort and restored it as they had earlier restored a few havelis, but were not sure of its purpose. They started inviting friends to stay over and were gradually flooded with similar requests. In 1991, the hotel readied 12 rooms and opened its gates to people. The 19th-century rooms are designed in colonial style and the 15th-century rooms in Indo-Islamic way. 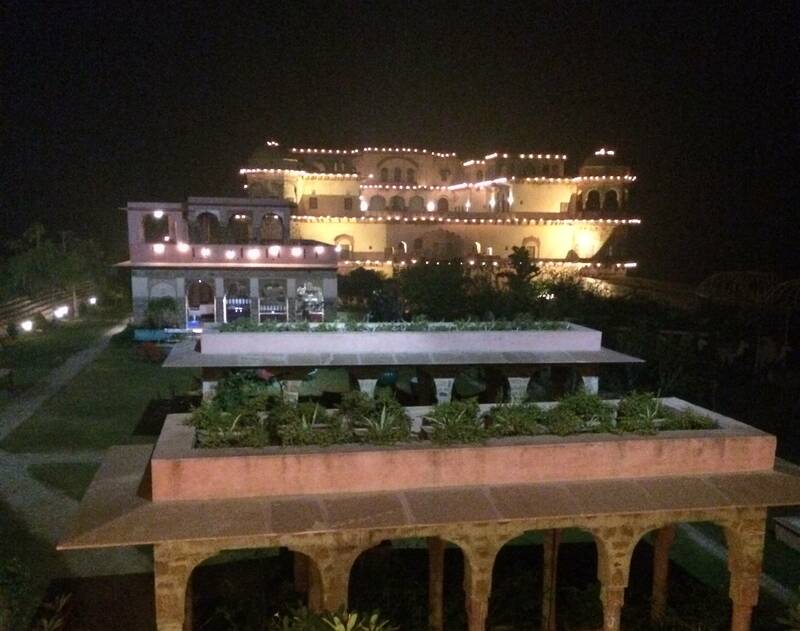 They chose to add the tag of “non-hotels” to distinguish Neemrana hotels from the traditional five-star luxury properties. Since the inception of their first hotel, they have acquired over 25 heritage properties and after restoration, converted them into heritage hotels. Neemrana Hotels were all constructed in the period from the 14th century to the 21st century and celebrate 700 years of heritage. The business solution to sustain a massive project like Neemrana Hotels is to convert a part of the property and make it functional. The revenue earned thus is used to start another phase of restoration — this keeps the overhead cost and risk low while the business is still running. They also make more than 10-12 rooms functional at a given time to make a project commercially viable and self-sustainable. And while restoring a property, they make sure that the heritage aesthetics are not lost. 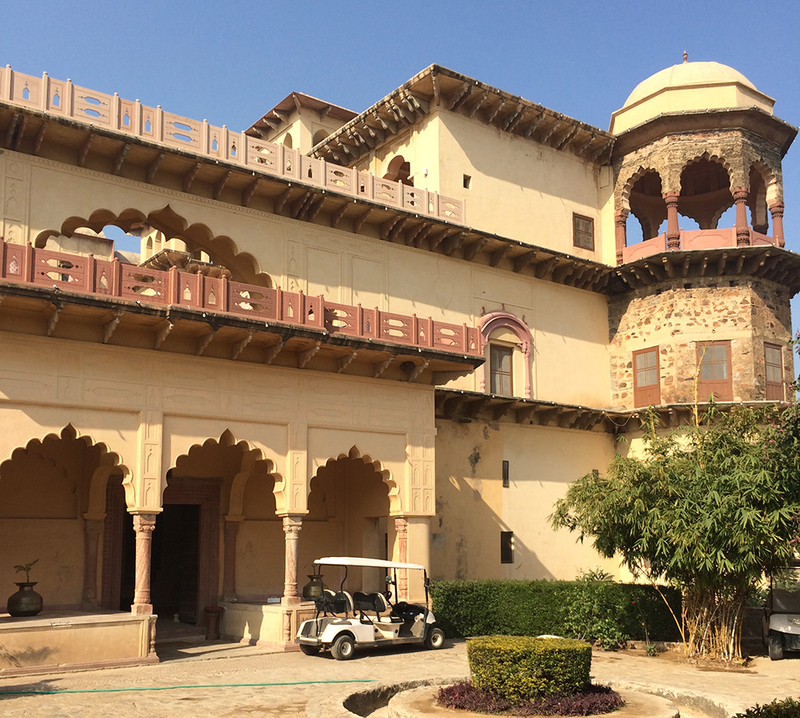 Neemrana Hotels comes to the rescue of state governments, who own large number of forts and palaces, but do not have the funds or the wherewithal to maintain them. There are also individual owners /royals who seek their help. While other hotels take at least about 7-8 years to break even, for Neemrana Hotels it’s only a matter of about three years. The 19th century Tijara Fort in Rajasthan’s Alwar district was not a ruin, but a building that had been left unfinished in 1845 because of the premature death of Raja Balwant Singh, who started the construction of this fort-palace in 1835; the Neemrana Hotels founder pair undertook its completion. Rajasthan government has leased them the fort for 60 years. And, so far, it has taken them about 8 years to complete and make it operational. The construction in some part is still going on. Just 160 km away from Delhi, it takes about two-and-a-half-hour to reach. Tijara Fort-Palace, which is exclusively for resident guests, lies in close proximity to the well-known Sariska Tiger Reserve, making it an ideal weekend getaway. While it was lying abandoned, locals and adventurous biker groups used to visit Tijara fort for little get-togethers and picnics and left tell-tale signs of their presence, scribbling and engraving names of their loved ones. 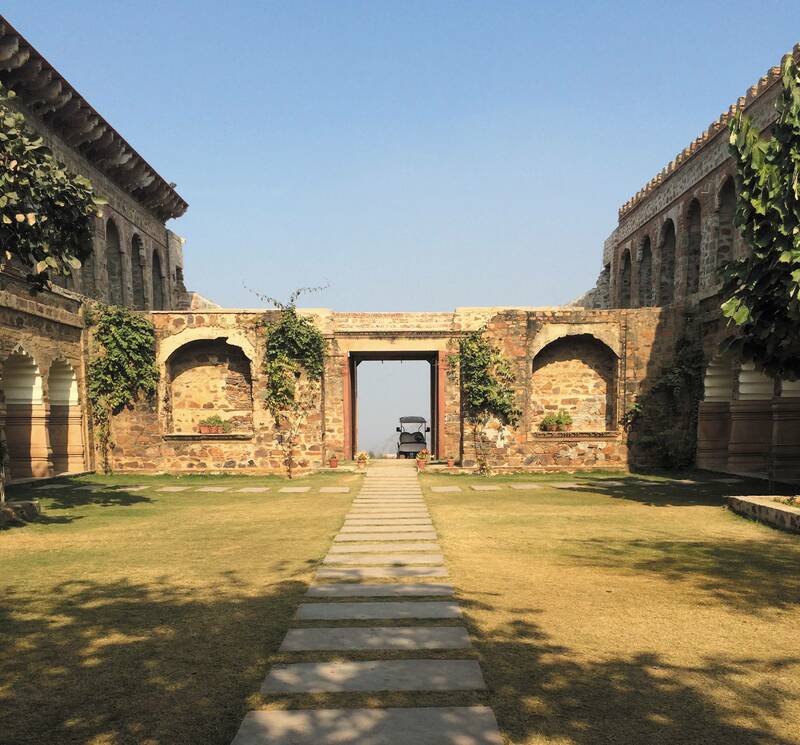 By restoring it, Neemrana Hotels has made sure that the fort doesn’t succumb to its misery. It has helped the fort keep its cultural identity alive, generate local employment and facilitate a unique experience for its guests, therefore becoming accessible to more and more people over a period of time. Through the congested bylanes of Tijara as one hits a narrow lane, there are teak trees and mustard plantations in full bloom — during winters — on either side of the lane that leads to the small hillock on which the fort is built. And all around the hillock at 360 degrees there are only large tracts of agricultural fields, adorned by furrows and a few scattered hills. The different shades of green look pretty as one sees it from the top of the fort. The fort feels like a beautiful island — magnificent and mystical. The interiors are beautifully done and are complete with modern plumbing and fittings. Huge entrance gates, spacious rooms, jharokhas, carved arches and pillars, courtyard, corridor spaces, domes and turrets, well-manicured gardens, swimming pools are the highlights of almost every Neemrana Fort-Palace. Tijara Fort has all this spread across an area of 8 acres. The premises is divided into five separate buildings — Hawa Mahal, Saath Dari Restaurant, Khajur Mahal, Rani Mahal and Mardana Mahal. The last two are used for residential purposes. Hawa Mahal has the reception, dining hall and TV room. (There is no TV in the room and they encourage people to have their meals in the dining hall). Rani Mahal is a beautiful palace at the extreme end of the premises overlooking the amphitheatre. It has a small courtyard, thick with foliage. The courtyard is surrounded by corridors. There is a cafe and a cozy sitting area on either side of it. The mahal houses 21 rooms and every room is unique in terms of design, outlay and interiors. Each room has been named after a woman artist or a celebrity whose work of art, craft or design has adorned the walls of the room. Anjoli Mahal, named after the famous artist Anjolie Ela Menon, has wall frescoes and murals done by her. It is also one of the prettiest rooms. Laila Mahal and Jaya Mahal have been named after Laila Tyabji and Jaya Jaitley, respectively, for their active participation in crafts and textile-related works for all the rooms in the fort. Some of the other rooms are Anju Mahal after Anju Dodiya, Sheba Mahal after Sheba Chhachhi, and others. Mardana Mahal is another palace that has around 46 rooms. Each room has been named after a celebrated male artist or a photographer. Similar to Rani Mahal, the interiors here will also get an artistic touch by Surya Singh, Jagannath Panda, Rohit Chawla, Sanjay Bhattacharya, Peter D Ascoli, and Raghu Rai and will be named after their first name, Surya Mahal, Jagannath Mahal, etc. There is also a room named after fashion designer Rohit Bal. Recently, it has been renamed as Gudda Mahal as Bal is popularly known. There is a contemporary installation depicting samudramanthan by popular artist Mukesh Sharma and the room is called Mukesh Mahal. They are in the process of building three restaurants on the premises. 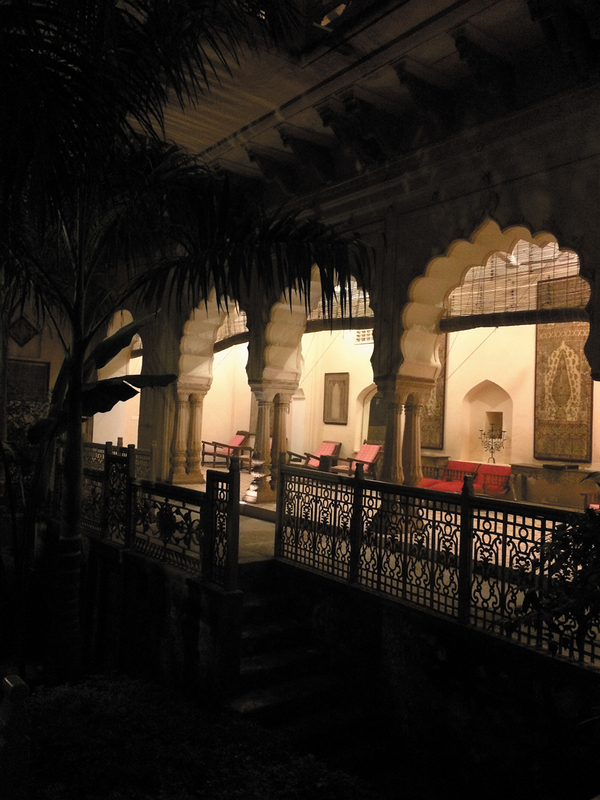 Raja Durbar is a huge square-shaped hall with interiors, décor and furniture in sync with the era that it reflects. The durbar is the first thing to get noticed, lying across the lawn as one approaches the entrance gate. The side corridors have elevators and stairs that lead to the rooms on the first floor. The large durbar hall is also used to hold private wedding ceremonies. I stayed in Bharti Mahal — a suite with balcony and ante room. It has a lovely jharokha facing the swimming pool. There are two queen-size beds and a single bed in the ante room. It has pillars and arches inside the huge room with 3-4 taak (a recess in a wall) that reminded me of my grandparents’ ancestral house. The antique doors, furnitures, lamps, candle holders and metallic trays made of brass and steel lent beauty to the ambience. The textile and crafts used are ethnic — curtains, bedsheets, covers, pottery, candle stands etc. One can sense a lot of meticulousness and effort that have gone into adding beauty and ethnicity to each room. There are enough modern amenities for ones’ comfort — air conditioner, mini bar and a tea/coffee maker. The bathroom is spacious, too, with modern fittings and geyser. 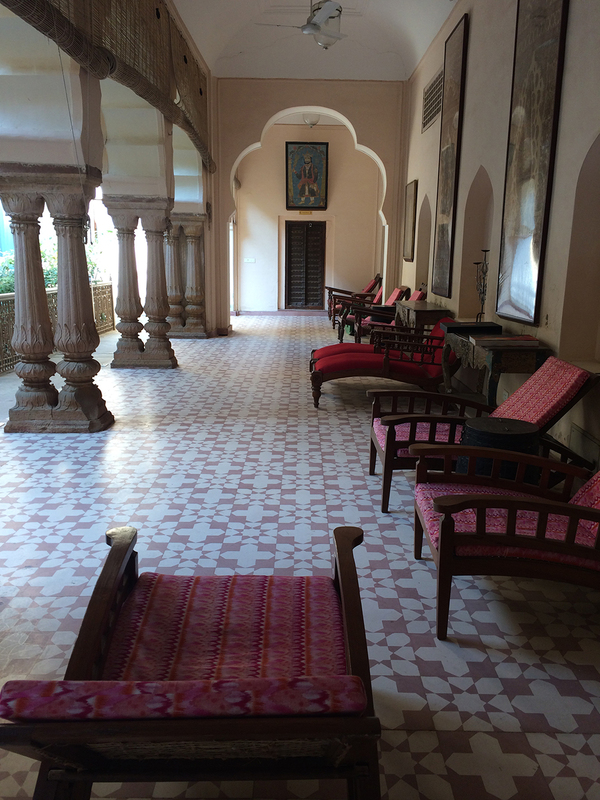 Another unique characteristic of Neemrana Fort-Palaces is that each room is different; one will never come across an identical room. The entire third floor is built into a huge suite named Amrita/Vivan Mahal, after Amrita Shergill and her artist nephew Vivan Sundaram. The walls are adorned by their beautiful artworks. 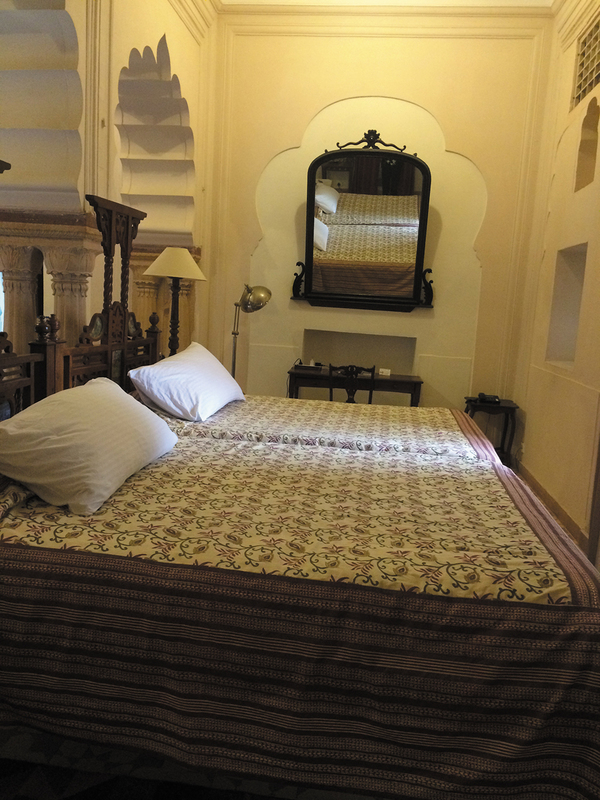 This is the biggest suite at Tijara Fort, with four separate rooms and two bathrooms. And it is perfect for a group of friends and families who want to spend a weekend together. One can go to the Neemrana website to book a room. The site has detailed information about the rooms, along with photos. The tariff ranges from Rs 8,000 to Rs 18,000 a night that includes breakfast and evening tea. Lunch and dinner, paid as per consumption, are mostly a la carte — a mix of Indian and continental with 3-4 varieties of salads and desserts. Tijara Fort has been holding a lot of business meetings and conferences in Khajur Mahal. They have free Wi-Fi and conferencing facilities at their premises to cater to their clientele. The palace has become a new destination to hold weddings and parties and one can book the entire fort for this purpose. There is an amphitheatre for sangeet party. The staffers are efficient and hospitable. There are golf-carts to ferry people from one point to another. After becoming operational, they have hosted more than 2 dozens weddings and some 50 conferences since January, 2016. The swimming pool is in a quiet corner aligned along a corridor that has pillars and windows overlooking the countryside. The Orient spa is inside Rani Mahal and has a variety of massages to offer. On personal request, the hotel arranges for paid excursions to Alwar, Siliserh Lake and Palace, Sariska National Park, Bhartrihari Temple, Pandupol Temple, Talvriksha, the tombs and the Jain temples of Tijara. You’ll never find a dull moment here if your pepped-up moment is not just about loud music. There’s a lot to indulge, admire, adore. It’s an exquisite property and needs to be enjoyed as you enjoy your favourite dessert — relishing each bite slowly. You can walk in its manicured lawns, wander in its expanse or take a flight of stairs to reach the terrace and gaze at the beautiful landscape beneath. You can flit between one mahal and another, exploring every little nook and corner, witnessing how history gets a new lease of life. You can also pick a book and choose a quiet corner to read. Or just put on your headphones to listen to music. Or, if you’re not up for anything, just sit still, listening to the sounds of your own breathing, to the rhythm of moments quietly passing.